USA: A large prospective cohort of older women found that consumption of caffeinated non-herbal tea increases the risk for incident rheumatoid arthritis (RA). The study, published in the Journal of Clinical Rheumatology, however, found that there was no association between coffee consumption and incident RA. 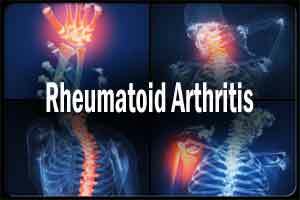 Rheumatoid arthritis is a chronic inflammatory disease that affects a person’s joints, causing pain and disability. It can also affect internal organs. RA is more common in older people, but there is also a high prevalence in young adults, adolescents, and even children, and it affects women more frequently than men. Diman Lamichhane, MedStar Washington Hospital Center, Washington, DC, and colleagues evaluated whether tea or coffee consumption is associated with an increased risk of older-onset RA using the Women’s Health Initiative Observational Study -is a longitudinal prospective cohort study conducted from 1993 to 1998. A total of 185 women self-reported and validated incident cases of RA were observed after 3 years of observation. There was no increase in the hazard ratio for incident RA in those participants who drank coffee compared with those who did not. The amount of coffee consumed and the method of preparation (caffeinated/decaffeinated; filtered/unfiltered) also did not alter the risk of incident RA. There was a positive association of incident RA and caffeinated tea consumption in the trend test. When assessing any caffeinated tea consumption versus no tea consumption, the hazard ratio for incident RA was 1.40. “ In a large prospective cohort of older women, there was no association between coffee consumption and incident RA. A small association between daily caffeinated, nonherbal tea consumption and incident RA was found,” concluded the authors.